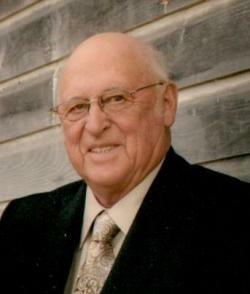 With his loving family by his side, Robert "Bob" Francis Goodine of Plaster Rock, NB, passed away peacefully at Hotel Dieu St. Joseph Hospital on March 26, 2019. Bob was born in Perth-Andover, NB, on November 6, 1936. He was the son of the late Francis and Ruth (Langen) Goodine. Bob leave behind his loving wife, Reta Goodine (Adams); his children, Ronald Goodine of Vancouver, BC, Susan Baker (Chester) of Perth-Andover, NB, Richard Goodine (Nadine) of Vancouver, BC, Diana Bingham of Belleville, ON; his step-daughters, Donna Crawford (Randy) of Rowena, NB, Vicki Lagace (Eric) of Red Rapids, NB, Gayle Maxwell (David) of Saint John, NB, Lisa DeGooyer (Willem) of New Denmark, NB, and Paula Pedersen of New Denmark, NB; 13 grandchildren and three great grandchildren; his brothers, Anthony Goodine (Patricia) of Ajax, ON, Allison Goodine of Woodstock, NB; along with several nieces and nephews. Bob was predeceased by his parents; his first wife, Ola Goodine (MacDougall); and his sister, Rosemary Sirois. Funeral service was held on Saturday, April 6, 2019 at 11 am from St. Thomas Aquinas Catholic Church. Father Gilbert Doddatto celebrated, assisted by Father Curtis Sappier. 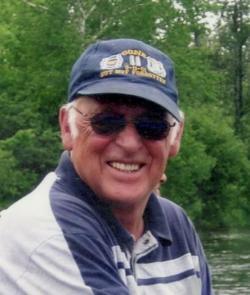 Interment will be in St. Joseph's Catholic Cemetery in Tilley, NB, at a later date. Music for the service was by Donnie Baker, Annette Hitchcock, David Baker, Garold Hanscom, and Bethany McQuade. Remembrances were shared by Judy St. Peter, Ronald Goodine, and Susan Baker. The urn was carried by Ronald Goodine. Bob's family wishes to extend their heartfelt gratitude to Dr. Joshua O'Hagan and the staff of Hotel Dieu St. Joseph Hospital for the care given to Bob.